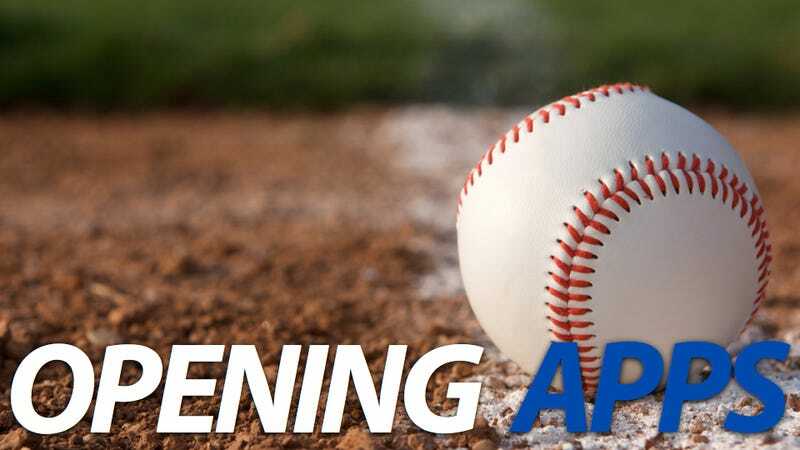 Today is opening day! Now you can cry that baseball is boring or that there's too many games or that all the players take steroids but I could care less. There are few things that make me happier than watching the Dodgers on a slow midsummer day. But watching the game has changed! You can make it more fun throughout the season with apps. Gonna be on the road? You won't miss a pitch. Need to keep track of fantasy? Sure, of course. Want to revel in baseball's nerdom? By all means. Here are the best apps for baseball. MLB At Bat, the official app of the MLB, has long been the best sports app and you know what? It's even better for the 2011 season. It's available on iPhone, Android and iPad (and Blackberry but without key features) and lets you follow a game pitch-by-pitch with a snazzy graphic or listen into the radio broadcast. If you have a MLB.tv subscription you can stream every game (blackout restcritions apply) of the season through the app too. If you don't have MLB.tv, At Bat offers a 'Live Look' at key moments in the game too. You've probably already used Bloomberg's Draft Kit 2011 to power through your fantasy baseball draft, so now you need something to stay up to date with your teams throughout the season. ESPN and Yahoo both have their own officials apps available for free on the iPhone. On Android, ESPN has a free app but we use Fantasy Guru for Yahoo leagues on Android. Fantasy Monster Pro for iPhone is also excellent if you want to consolidate Yahoo and ESPN leagues. But fantasy baseball is competitive! It's not just about swapping injured players. You have to stay on top of the waivers, ride hot streaks and keep your ear close to the rumor mill. That's why you need Rotowire Fantasy News, which lets you know everything happening in the league. Think of it like a Twitter but for player updates.